Černobílý obal ve formě plakátu s texty a překlady, 500 ks černého asfaltu. Na obou stranách anarchopunk. Vyšlo za kooperace labelů Apatrida, Buryzone, Hluboká orba, Véva records, Totalitarianism still continues, GRF Records, Samotar, Rauha Turva, Burina records, Ultima Ratio, Malstrom, Music for Liberation, Voros Ordog, Aliusterra a Rosa Punx collective). 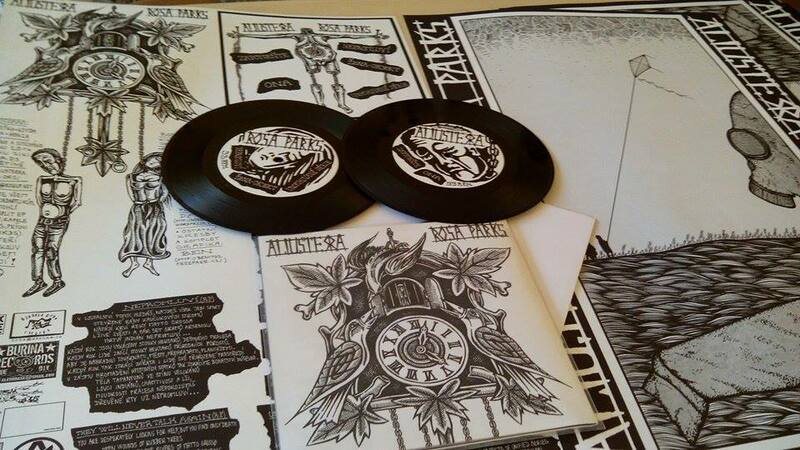 500 pieces, black and white flyer with lyrics and their english translations, anarchopunk on both sides. Released in cooperation of labels (Apatrida, Buryzone, Hluboká orba, Véva records, Totalitarianism still continues, GRF Records, Samotar, Rauha Turva, Burina records, Ultima Ratio, Malstrom, Music for Liberation, Voros Ordog, Aliusterra and Rosa Punx collective).